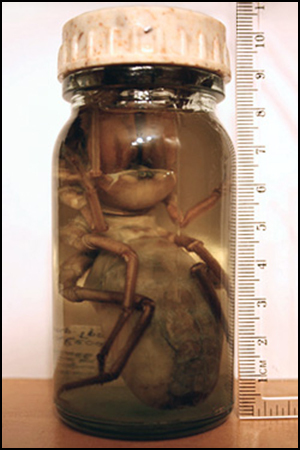 This section of the website, through the links at the left of this page, provides information about collecting and preserving solifuges for research, lists the institutions where the type specimens of solifuge species are housed, provides images of past researchers, and offers an overview of the Global Survey and Inventory of Solifuges, the NSF-funded project that triggered the development of this website. THE UNAUTHORIZED COPYING, DISPLAYING, OR OTHER USE OF PHOTOGRAPHS OR OTHER CONTENT FROM THIS SITE IS ILLLEGAL. © Copyright 2005-2016. All images in this site, even if they do not include an individual statement of copyright, are protected under the U. S. Copyright Act. They may not be "borrowed" or otherwise used without express permission. For permission, please submit your request to wsavary@yahoo.com.